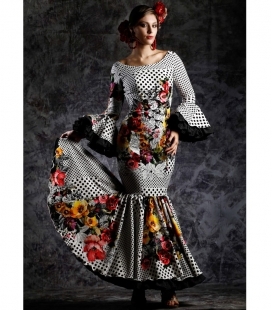 This spanish dress is sold exclusively at El Rocio - Flamenco costume. 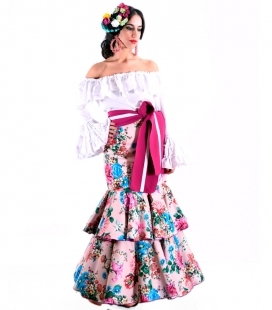 This is a light dress with elbow sleevess, in pink colour as shown with light blue dots. 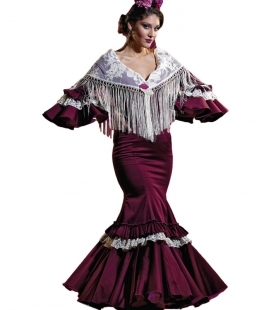 It is a nice traditional flamenco dress ideal for any event or fair and only available in the size and colour shown. 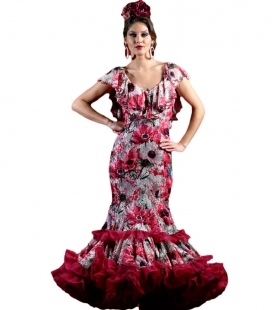 Theses Woman's Flamenco Dresses are low-rise with four ruffles decorating it. 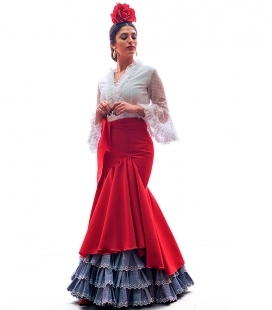 El Rocio offers Flamenco Costumes for women manufactures its own designs in many colours and fabric styles and they are limited editions, only available in this website. 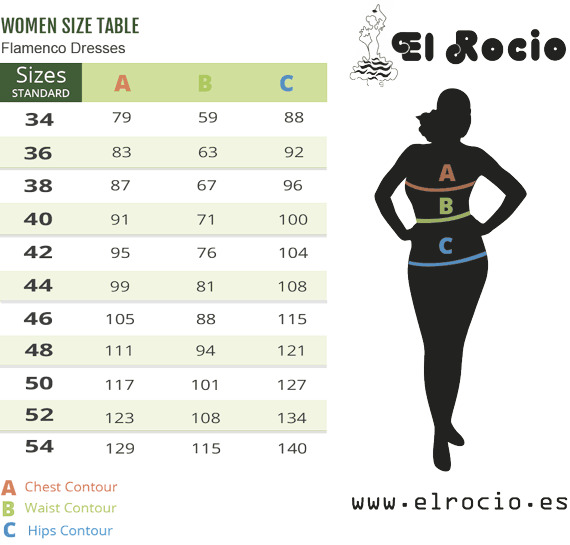 Check your size in our size chart below. 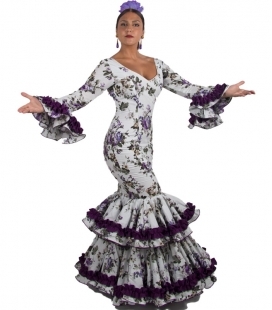 Flamenco Fancy Dress designed by dew and manufactured in Spain for our stores in Malaga and Granada and buy online. 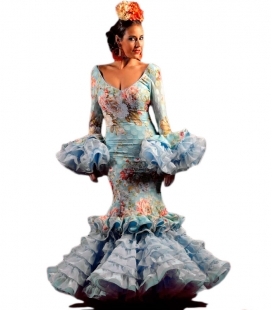 This year we have a large Flamenco Dress on offer selection with incredible value. 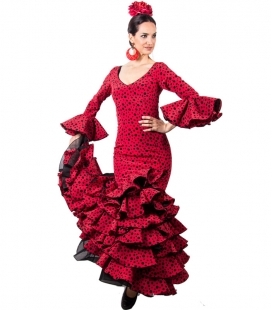 This flamenco dress is part of our 2019 Collection, made in Andalusia and popular worldwide. 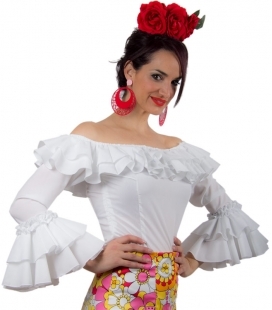 Complete your Spanish look with our accessories, available at this section.